Eddie Griffin may find himself in hot water after allegedly pouring a bottle of water on a woman and throwing the empty bottle at her at a comedy show last week. Fiona Walshe – a lesbian – has told TMZ that she and her partner, Leslie, were among the audience members at Eddie Griffin’s comedy performance at Tommy T’s Comedy Club in Pleasanton, CA last week. According to Walshe, Eddie Griffin singled the couple out because of their sexual orientation. Eddie Griffin has fired back with threats of his own lawsuit, not against the women he allegedly humiliated, but instead against TMZ, who he believes wrongfully characterized his behavior in their original reporting of the incident. “Eddie never assaulted a woman, nor is he homophobic. Your statements are false. He was telling a joke. He was doing his job and making the audience laugh and going a great job at it. Eddie has never and will never sensor his act. ALL races, religions, genders and stereotypes are considered EQUAL on stage and are all open for material. Eddie’s famous quote is “F*ck –em if they can’t take a joke. They shouldn’t come to a comedy show. If you sit front row at a comedy show, it is widely known that chances are, you might have a good chance of becoming part of the act. When you interrupt a comedian-whether you believe you are right or not, you must be able to handle what they retaliate with! Sometimes it may be offensive. And as far as heckling is concerned-consider it a professional sporting event. If I don’t like how the team is playing and I think I can do better, do I just jump down on the field and take the ball? NO because I will get arrested. Thrown out of the stadium and fines imposed. 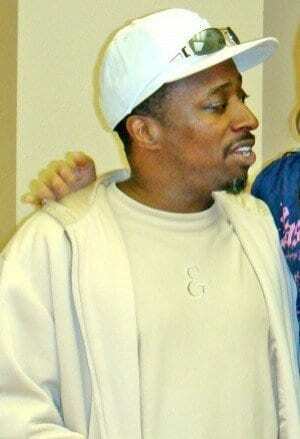 Flagella has not yet indicated whether Eddie Griffin will proceed with the lawsuit.